If you can't make your own, these store bought bars are the next best thing! If you have been following me for a while now, you probably know that I am not a fan of store bought foods. But I totally understand that we are all busy people and don’t have time to make our own protein bars or breakfast muffins! That’s why I always stress to people how important it is to have a well stocked pantry and never leave your house without something in your bag. I always keep that “just in case of an emergency bar” in my bag. Its nice to know you have a healthy option no matter where you are! Here is a round up of 10 of my favorite bars that you should always keep in your bag! And 5 tips when picking a bar! The less number of ingredients, the better. Lookout for words like: brown rice syrup, agava, evaporated cane juice, cane sugar, dextrin, glucose, coconut sugar, raw sugar. These are just glorified names for added sugars that are totally not necessary. Whenever possible buy organic non-GMO bars. When buying packaged foods, its so important that they are not genetically modified. Our bodies do not recognize genetically modified ingredients the way it does organic foods. Therefore they tax the body and harder to digest. NuGo Fiber d’Lish Bars. These taste like a soft baked chewy cookie, but are only sweetened with fruit juice. No funky additives or fancy words for sugar. I chose to go with the bars that doesn’t contain chocolate chips, which have added sugar. Feeling jazzy? Cut one in half pop it in the toaster with a little nut butter and you have an insanely yummy treat. Lara Bars. How can you not love these bars? They are only sweetened with natural dried fruits. They are non-GMO, kid friendly, and ohh so tasty. 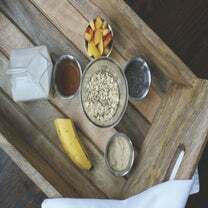 A great pre-workout snack containing natural sugars and complex carbohydrates, making this the perfect fuel to power you through a hard workout. Lara Bars makes 4 different versions of their bars that I approve of: Traditional Lara Bars, ALT Bars, Renola Bars and Jocolat Bars. Perfect Bar. I came across these bars while shopping at Whole Foods. When I asked how they sweeten their bars, to my surprise the rep said dates! I was super excited and instantly fell in love with them! They have to be kept refrigerated to preserve the ingredients since there is no additives. 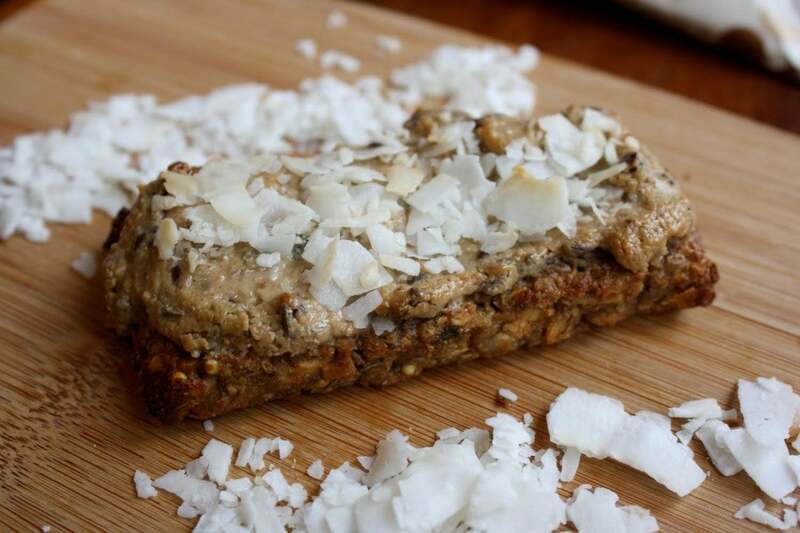 Go Raw Sprouted Bars. These bars are completely raw! 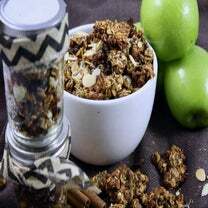 They are really satisfying and contain nourishing ingredients like nuts, seeds and dried fruits. The nuts combined with fruit will slow down the absorption of the glucose (sugars found in fruit), making this a really powerful snack. D’s Naurals No Cow Bar. This bar is really low in natural sugars, with only 2 grams sweetened with stevia. These bars are loaded with protein and fiber! They use a plant based protein so its easier to digest and less taxing on your body. Keep in mind it does contain a lot of fiber so having a big glass of water along with this bar would be a good idea. Rx Bars. These bars are amazing. They use egg whites as their protein source and only dried fruit to sweeten it! It contains 100 hundred percent real food, which I love. It also has minimal ingredients—ones that you can actually pronounce and recognize. Each bar has 12 grams of protein, which make them perfect for post-workout when you are in a crunch. Also it is a great option to throw in your bar post-race before you head off to brunch. Rx Bars come in a variety of flavors so you can be sure to find a bar that suits your taste. Plus they are gluten free, non-gmo, no soy and no dairy! That’s It Bars. These bars caught my eye three years ago. I was working in Brooklyn at a record label and there were a ton of little mom and pop health food stores around. I saw these bars and was fascinated by the ingredients—only 2 and just fruit! Now three years later you can find them in Starbucks! Goes to show how one small company can explode. I love these bars when fresh fruit is not available. I have even tried cutting them up and eating it on a long bike ride! Thunderbird Bar. These bars remind me of a Lara Bar but have a little bit more crunch. I love the different combination of flavors they offer. These bars are organic and use of dried fruits. That makes them a perfect pre-workout option! Bearded Brothers. By the packaging alone, I was sold on these bars. The product was created by two brothers who are fit and have a passion for health. And you can taste the passion in these bars. The unique flavors caught my eye, like ginger peach and orange kale! Another great pre-workout bar to supply you with energy whether you’re about to conquer a workout or just need an afternoon pick me up. Sheffa Savory Bar. Don’t have a sweet tooth? These bars are for you! Super crunchy and packed with flavor, they are not your typical bar. I love these bars because they contain 0 grams of sugar! It kind of reminds me of an everything bagel with little hints of different seeds and flavors.